A tool that every Samsung user has it installed on his computer, Samsung KIES, the Samsung's smartphone manager suite for PC and Mac, will get a major overhaul. According to confirmed reports, Samsung is planning on releasing KIES 4 with a completely new design to look similar to the company's TouchWiz Lollipop look with flat Material Design elements. 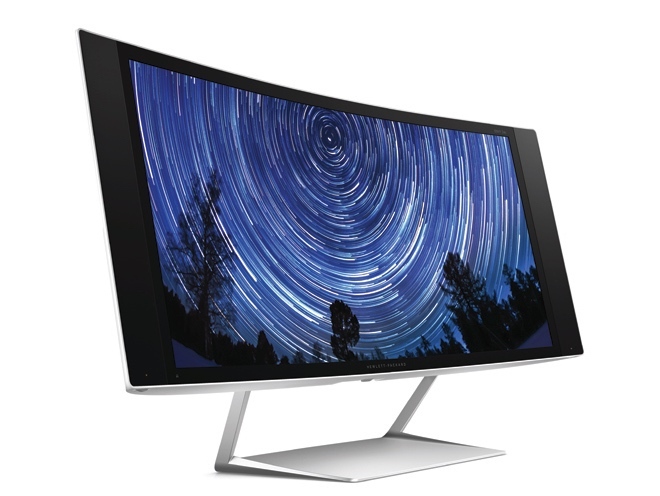 Samsung Kies 4 is expected to be available for download sometimes during Q3,2015 (March - June). So the Galaxy S6 will have a new computer buddy to play with very soon. In terms of functionality, there's no information if Samsung will be adding new features to the software or just change it looks. Many users love Kies for its data backup skills and it's likely that the company plays it safe and just apply a refreshing coat of paint to the suite. Latest Samsung's flagship devices were quite successful in terms of sales and build quality, as the Korean Giant is finally switching from Plastic to Metal, just like HTC. Various reports on the Web claim that the upcoming Samsung Galaxy S6 will be redesigned from scratch to keep the Korean OEM on top in terms of sales. Today, we also got its main Preliminary Specifications! 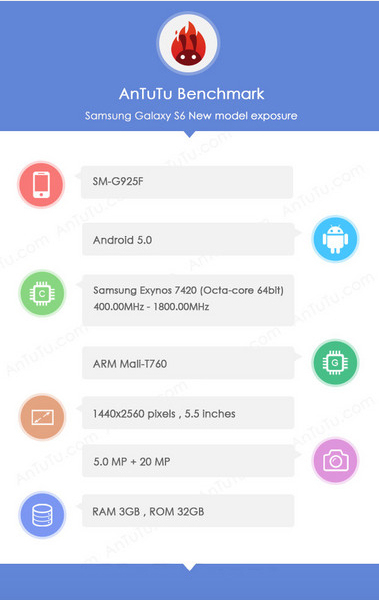 The Chinese portal cnmo.com suggests that the Samsung Galaxy S6 might have already been spotted in the AnTuTu benchmark. 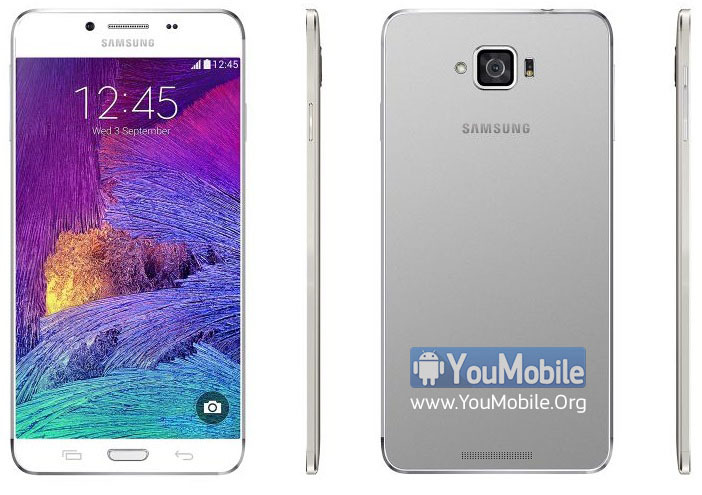 The numbers shown in the leaked screenshot show that the Samsung Galaxy S6 may contain a 5.5-inch display with QHD (2560 x 1440) resolution. And if the screenshot is correct, it appears that Samsung will make use of the 64-bit architecture. 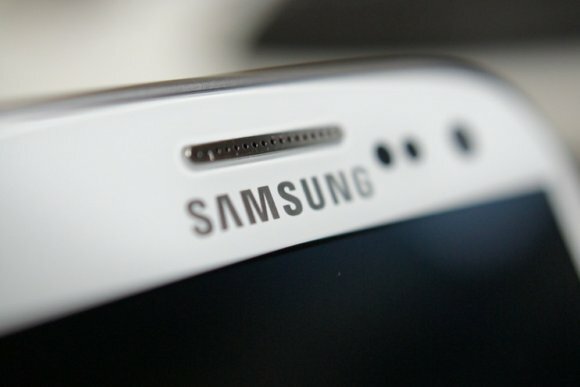 The Galaxy S6 might ship with the 1.8 GHz octa-core Exynos 7420 CPU. 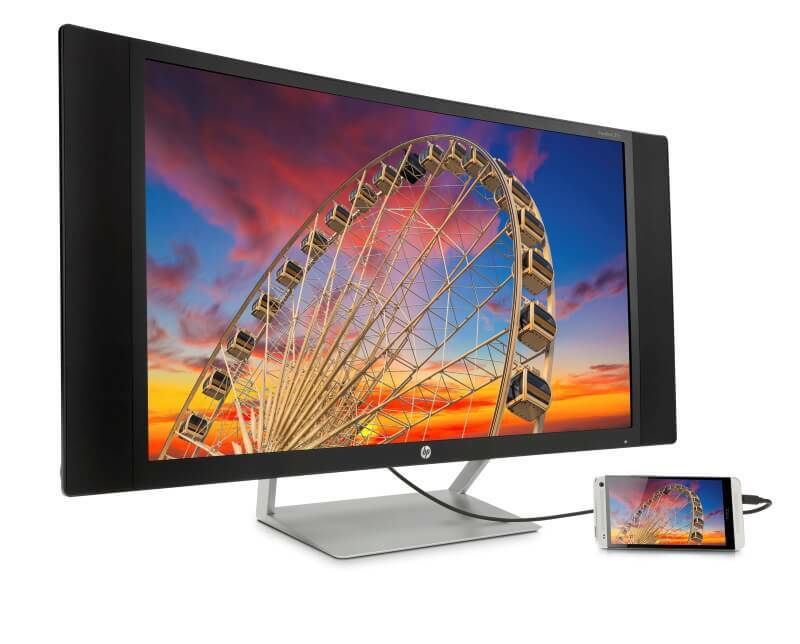 It also could feature an ARM Mali-T760 GPU, 3 GB of RAM, and 32 GB of storage. 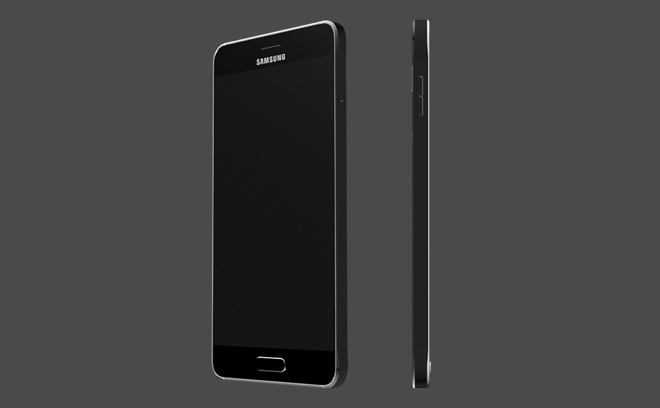 The S6 may have a 20-megapixel rear camera, a 5-megapixel front-facing camera. 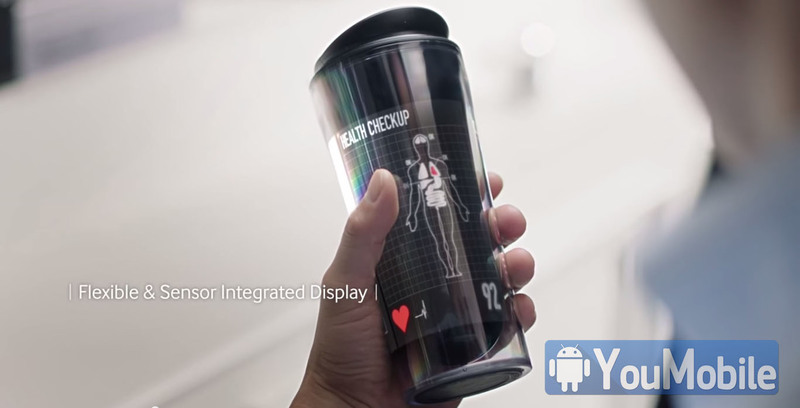 Samsung will annouce the device on Early 2015 and set for release later Q1,2015 if all goes well. CES 2015 Event is due to this week, Samsung has been working on its upcoming 2015 flagship device Galaxy S6 codenamed "Project Zero" for a while now, the Korean giant promised a completely new design with full metal unibody. 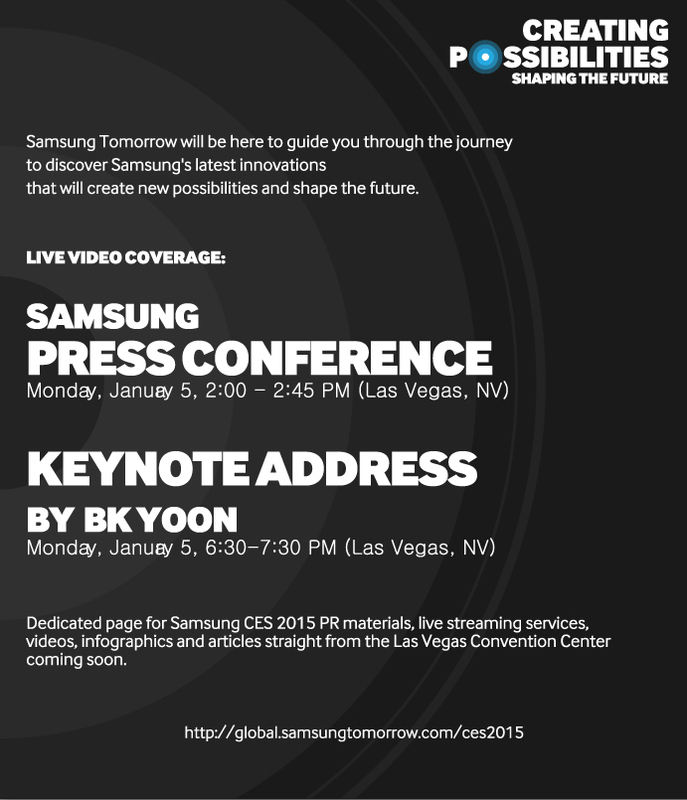 Latest Reports from Las Vegas (the place where CES will be held) suggests that Samsung will showcase the Galaxy S6 during its private event in the CES 2015. However, unfortunately, the devices will only be showcased to select partners, the report notes, which means that consumers will not be able to take a look at them. So, we may or may not get a sneak peak or a leaked photo, Stay Tuned! 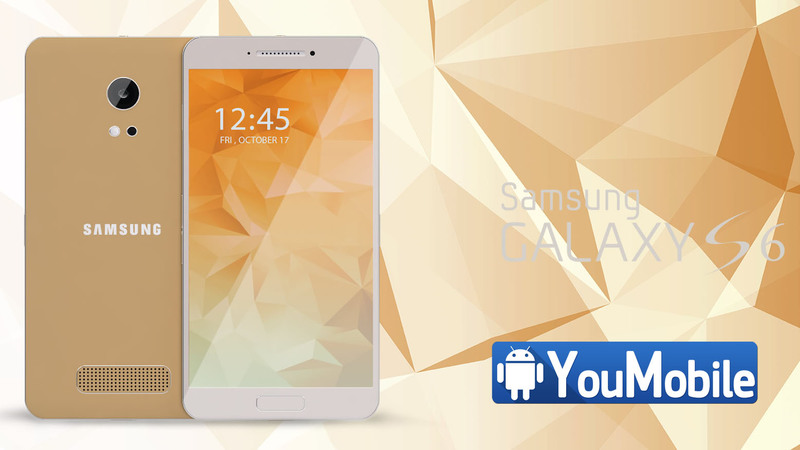 The Samsung Galaxy S6 is expected to feature a 5.5-inch QHD (1440×2560 pixels) display, an Exynos 7420 chipset with octa-core processor, 3GB of RAM, and 32GB of internal memory. In addition, the smartphone is also said to have a 20-megapixel rear camera and a 5-megapixel front snapper. IT's OFFICIAL, Samsung is sending out press Invitations for its Galaxy Unpacked 2015 event on March,1st which is only very soon. 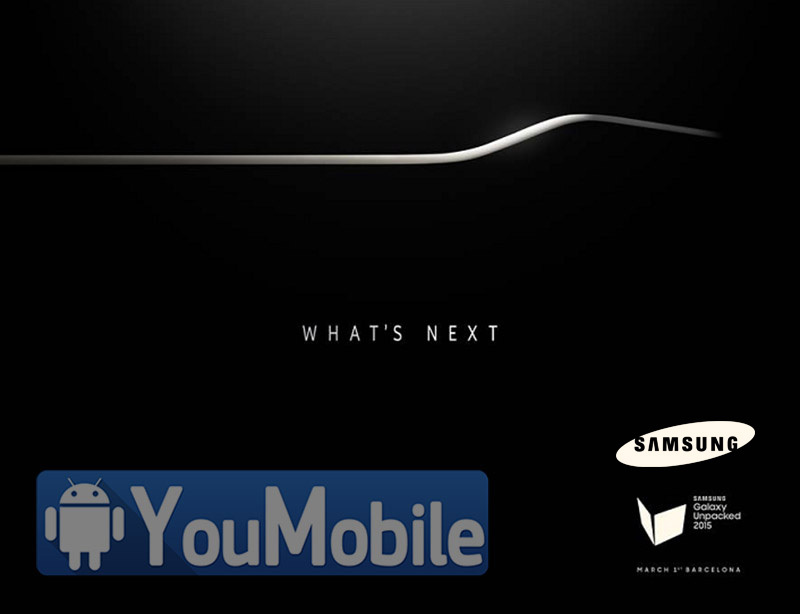 Unpacked 2015 Invitation card (Photo above) Hints a curved design device which means that Samsung officially confirms the unveiling of the Galaxy S Edge besides the long-rumored Galaxy S6. This curved device will be the same as the Galaxy S6 in terms of specs and design but will be packing a flexible sAMOLED display instead. Sadly, it will be a limited edition and only few carriers and retailers around the world will get it. The most anticipated flagship for 2015. 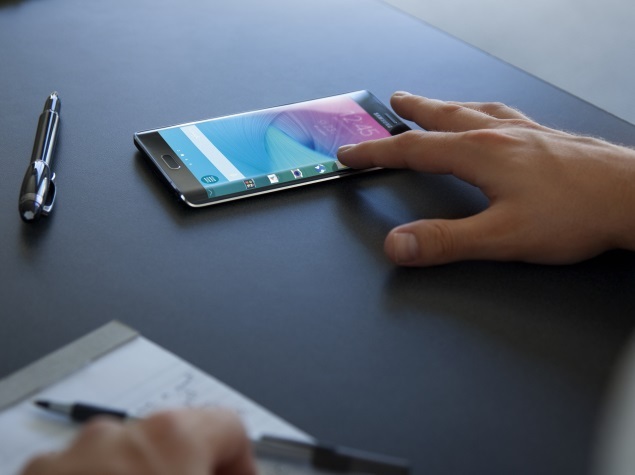 The Galaxy S6 will feature a 5" QHD Super AMOLED display and draw power from the Exynos 7420 chipset with octa-core CPU and 4GB RAM. At the back, this flagship will feature a heart rate monitor and a 20MP camera. So, Here's it is we got the Official date, Stay tuned for our full coverage for the Unpcack 2015 event. Samsung's latest flagship devices, Galaxy S6 and S6 edge are doing well in the market. According to a new report from Deutsche Bank, Samsung is expecting to ship around 45 million units of its Galaxy S6 and S6 Edge flagship smartphones during this year 2015. That's broadly in-line with various earlier reports a CitiBank analyst had in April predicted that the number might exceed 50 million, an estimate that was recently corroborated by research firm Counterpoint. 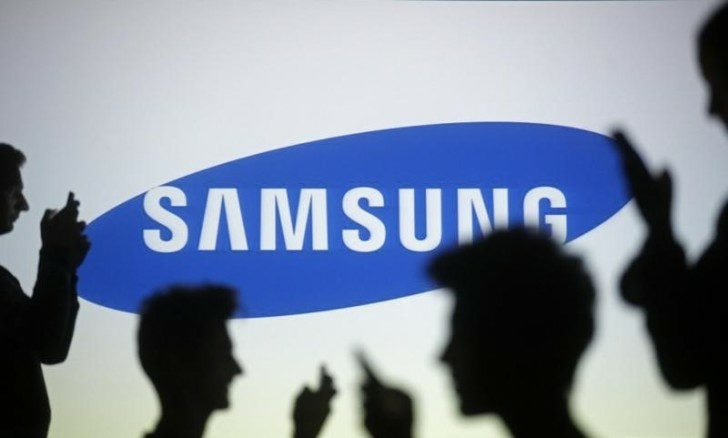 A Samsung executive also recently revealed that the devices are hitting the South Korean company's internal targets. 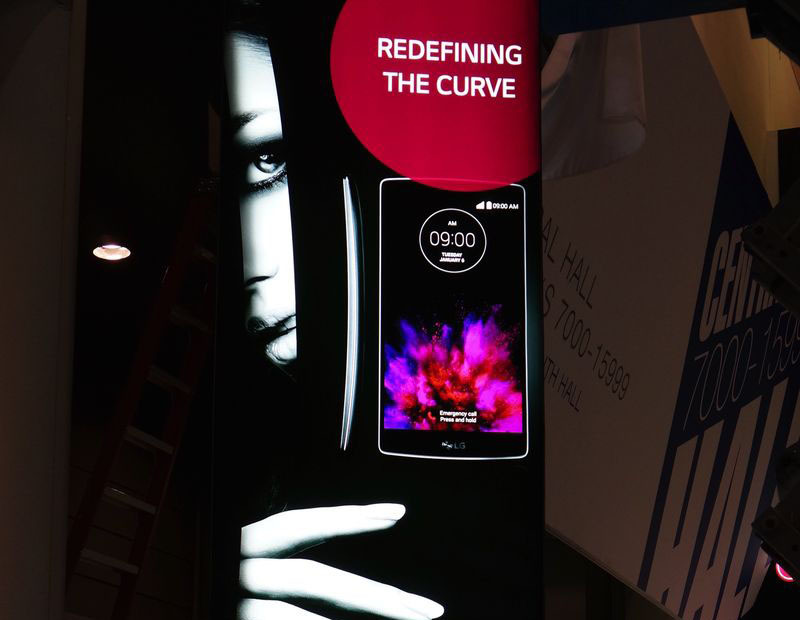 The CES 2015 is about to kickoff in Las Vegas, and leaks are already coming. 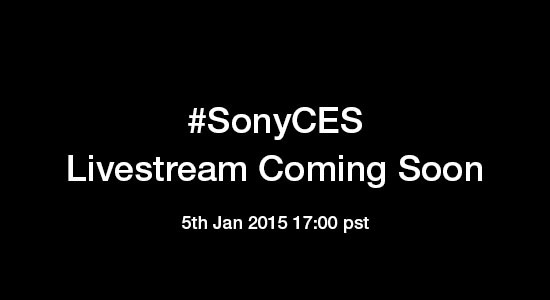 The latest leak is giving us a look at what Sony is preparing for us on its conference. According to the leak is looks like Sony will be releasing New Walkman device, bringing its old line-up back to live. The Japanese company didn't ditch its Xperia line-up. Sony is refining the formula behind the aforementioned model by introducing a curvy frame that, again, has all the controls on the side. 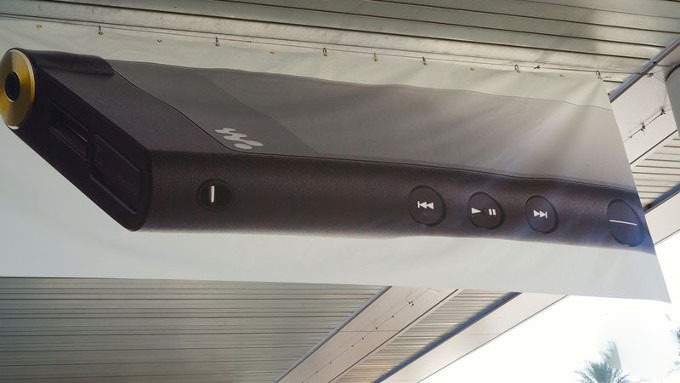 If the seeming predecessor of this new audiophile gadget is any reference, we'd expect at least 128GB of storage, a 4-inch, 480 x 854 pixel resolution display, and over 32 hours of continuous playback of MP3-encoded audio at 128kbps. Two months left for Marvel's Avengers: Age of Ultron to release and they have now released the third and arguably the most badass trailer of the film yet. 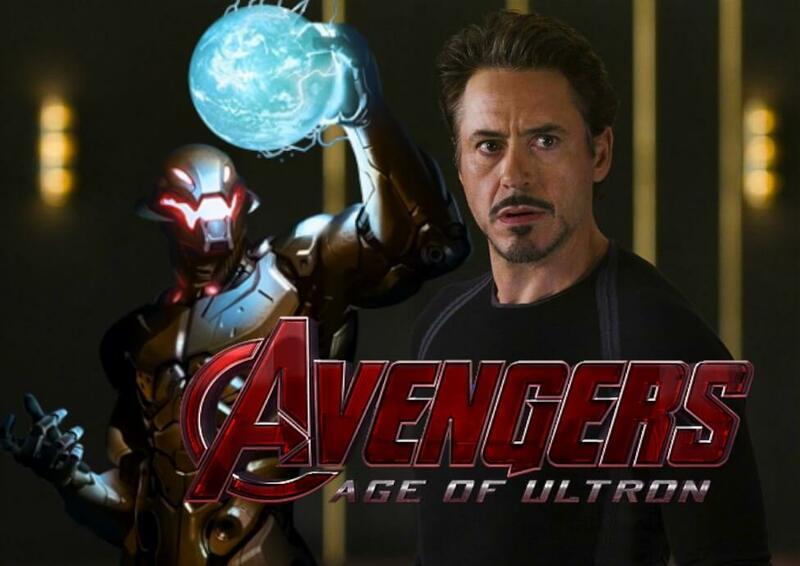 The newest trailer talks more about the Ultron Program and how it came to be. 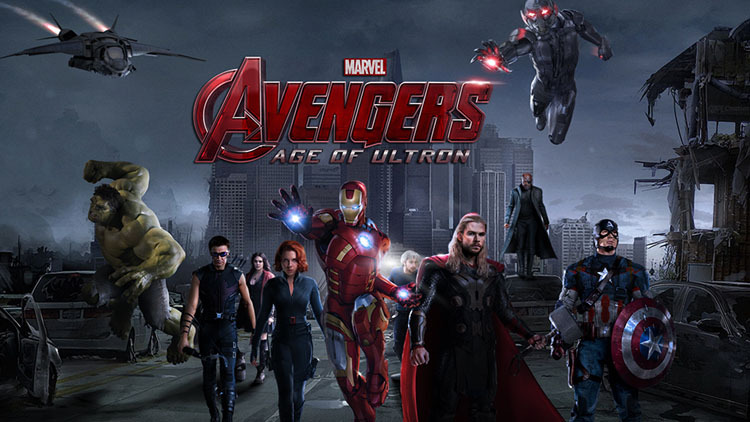 There is also more of Ultron himself in this trailer and we also get a better look at Quicksilver and Scarlet Witch. And of course, more of the Avengers themselves. This is bar far the most detailed trailer released so far and sets the tone perfectly for the movie, revealing just enough to get you excited for the release. 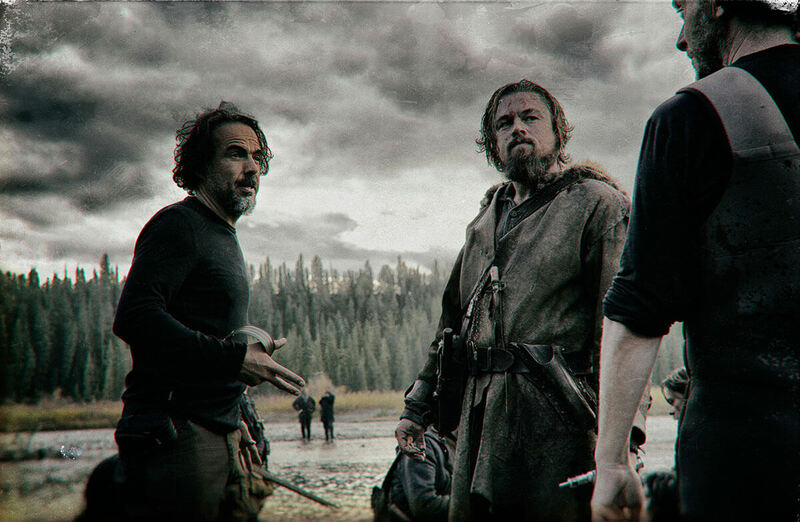 The sequel definitely seems to have a lot more action going on than the previous movie, which had a fairly slow start. 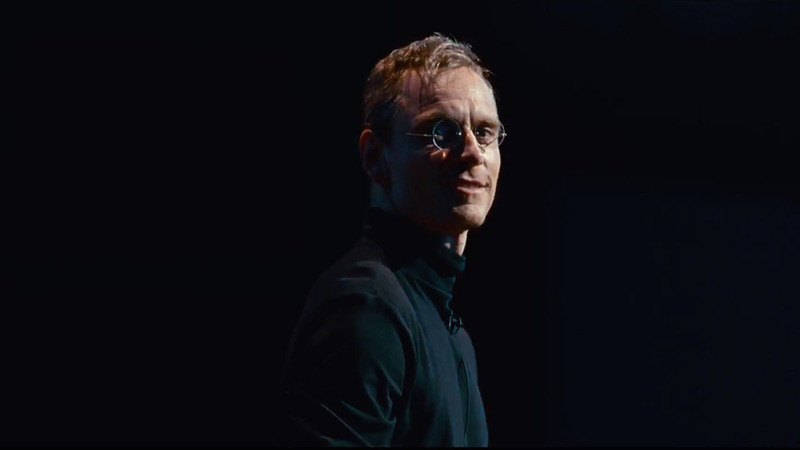 Another Steve Jobs biography movie is coming this year (2015). It's hard to believe that this movie is already happening after how long it bounced around without finding a star or a director. 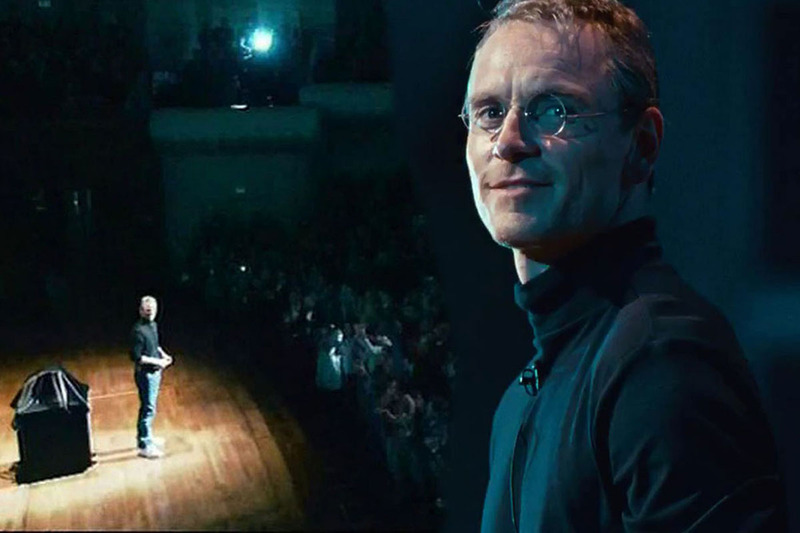 The good news is that it ended up with Michael Fassbender and Danny Boyle of course. A first look at what they're making came out on Sunday, and it's a great start. Tech fans may take issue with some of the details, but it seems to be nailing the tone. 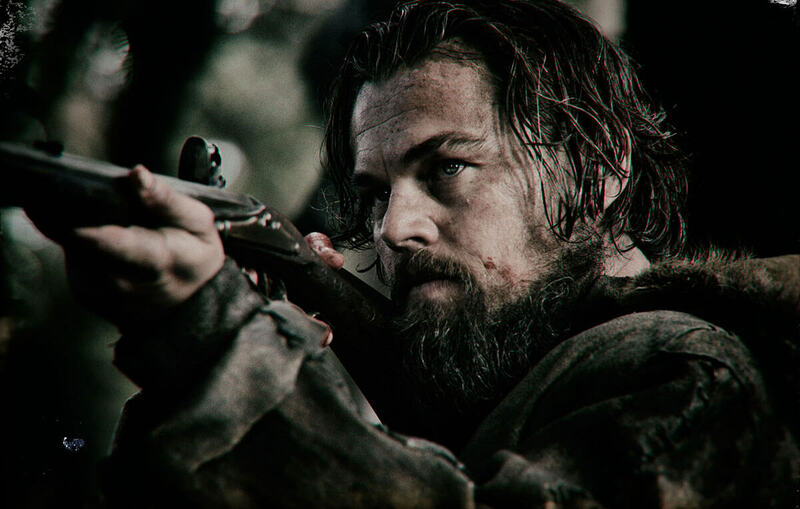 It' will be on theaters by October,9th the same time as Apple will announce the new iPhone 6s. Enjoy the first Exclusive Trailer below! We are waiting for Samsung's major press event in New York on August,13th. 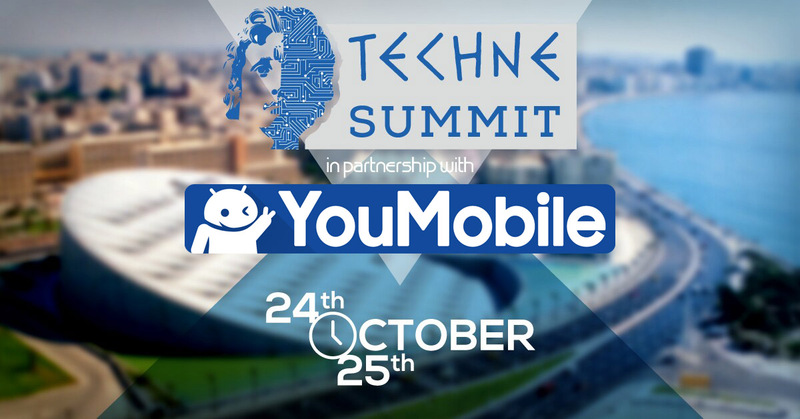 The event will be focus on the Galaxy Note 5 and the Galaxy S6 edge+ phablets. Today, Samsung released a new Teaser joined by a countdown timer to the event, depicts the three devices stacked on top of each other, but it's about as vague as it gets. 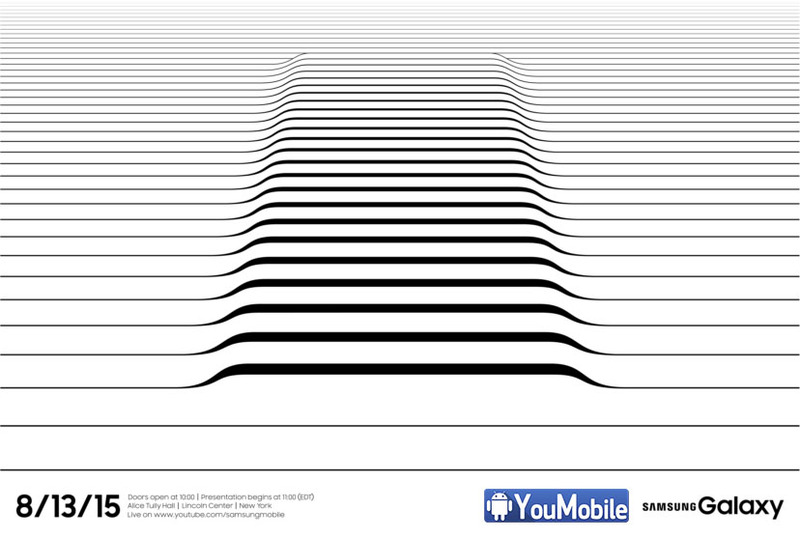 It looks like that the Galaxy S6 edge+ is on top, its curved edge gently accented. The Galaxy Note 5 is underneath, only it's facing down, so you can see the curve on its back, similar to the one of face of the S6 edge+. The S-Pen has been popped-out, with the groove in its top end highlighted, further fueling our suspicions that a novel means of ejection has been implemented. And then there's the third device a substantially larger one, firmly in tablet territory. 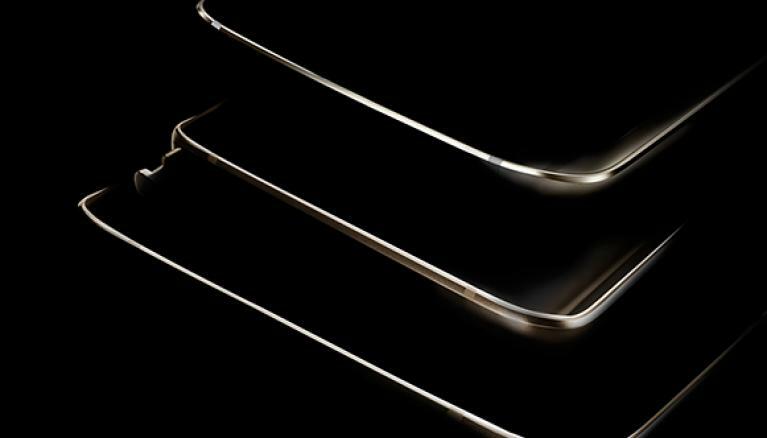 Given that the theme of the teaser is "BIG", it could be the recently announced Galaxy Tab S2 in its 9.7-inch incarnation, but the strips in the bottom part of the frame weren't present in the official images, so this one will remain a puzzle, if only for another week. 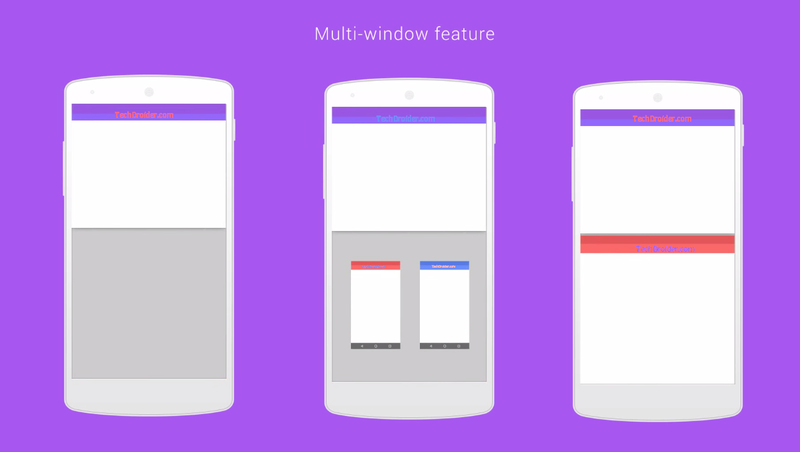 Google already announced the Android M major release. However, this is just a developer preview which has very few UI changes and some other unstable new features that still needs lots of testing and developing. Google made a schedule for Android M releases during the I/O event. 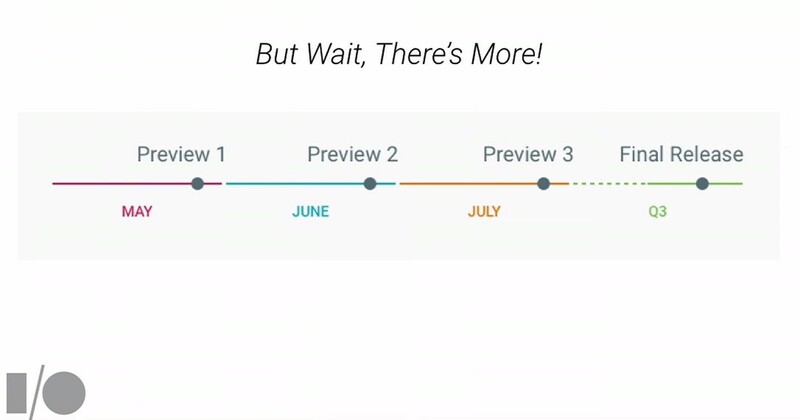 According to the official schedule (pictured above), Google is going to release 3 Developer Previews in the next 3 months. The Android M Official final release will be during the end of the 3rd Quarter (Q3,2015), still no exact date confirmed yet. By the final release Android "M" will be given a Name like "K = KitKat , L = Lollipop"... it might be Muffins, M&M's, Milkshake... etc. 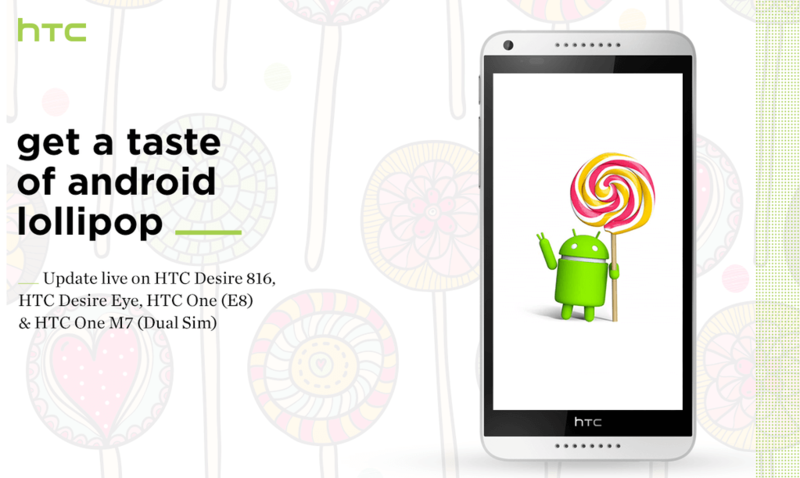 We have already reported that the Original HTC Desire 816 received its official Android 5.0.2 Lollipop update. Now, it's the turn for the Dual-SIM variant of HTC Desire 816G to get the same Android 5.0.2 Lollipop update. According to the latest reports we got from our HTC Official Updates Tracker, The Desire 816G is expected to get the Lollipop update is currently under "Testing" and should start Rolling-out during the last Quarter of the year (Q4,2015). 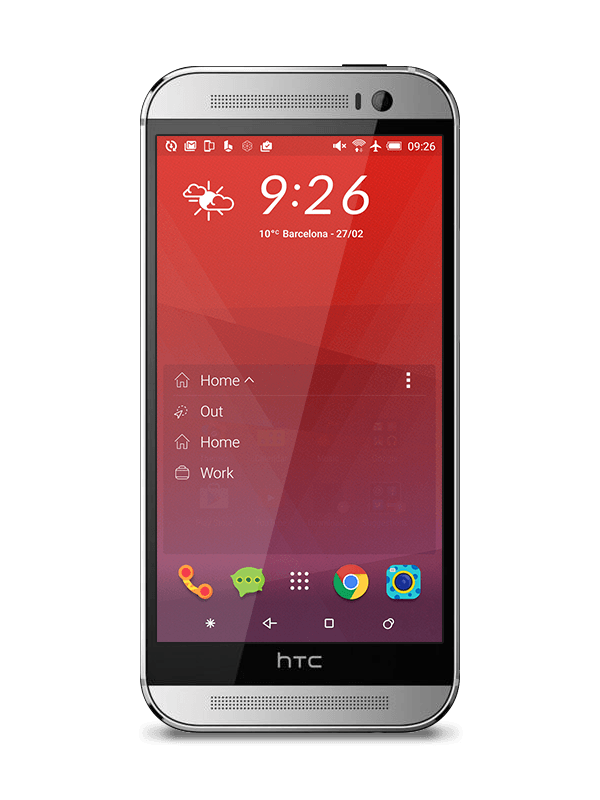 The HTC Desire 816H update will pack many performance improvements, new lock screen, new notification panel and updated User Interface but still keeps the Sense UI v6.0 on the Android 5.0.2 Lollipop build. You can check the official update change-log on the screenshot below (taken from an HTC Desire 816 original variant). Plans for Updating this variant to Android 5.1 Lollipop or Marshmallow 6.0 is still not clear yet, stay tuned! 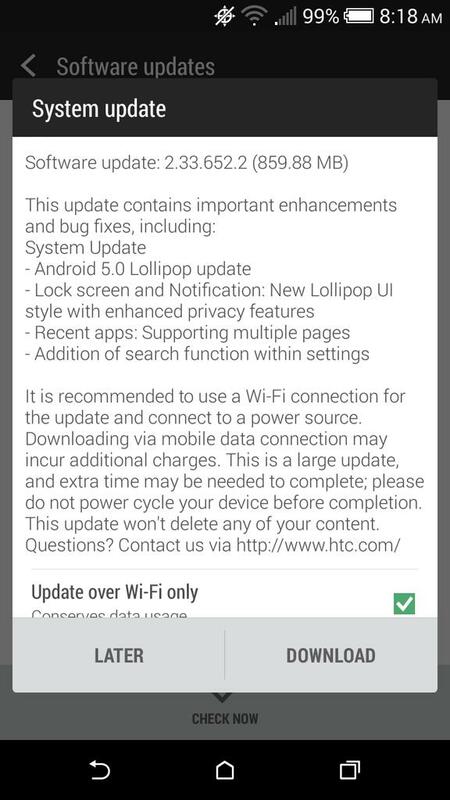 Yesterday, HTC announced that it received the Android 5.0 Lollipop source code from Google and it is currently working on developing the update. HTC confirmed that it bring lollipop to the HTC One M8 and One M7 in 90 days starting from (Nov,3rd). So, depending on the date timeline the company announced, If you own an HTC One M8 or One M7 you should expect Lollipop OTA update to hit your phone sometime during February,2015. First HTC device to get Android 5.0 Lollipop is the Nexus 9 which is now Available on the Play Store. 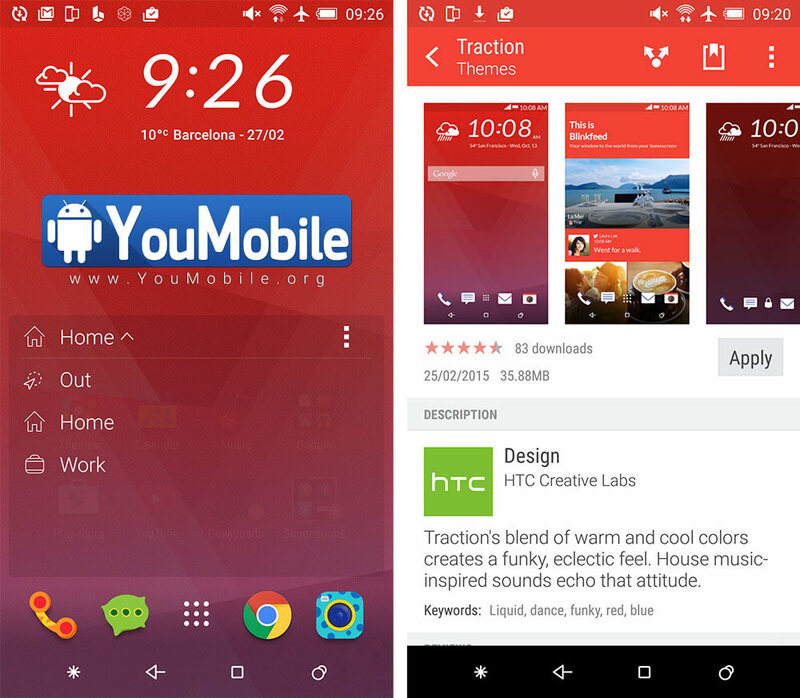 We already posted some leaked screenshots of HTC's Sense 7 UI earlier last month. Today, Android developer @LlabTooFeR said on Twitter that the Android 5.0 update for the HTC One M8 and M7 won't bring Sense 7.0. Both phones will still have essentially the same Sense 6 as on the KitKat ROM. The Sense 7.0 update is said to arrive first on the upcoming HTC "Hima" flagship arriving by early next year. 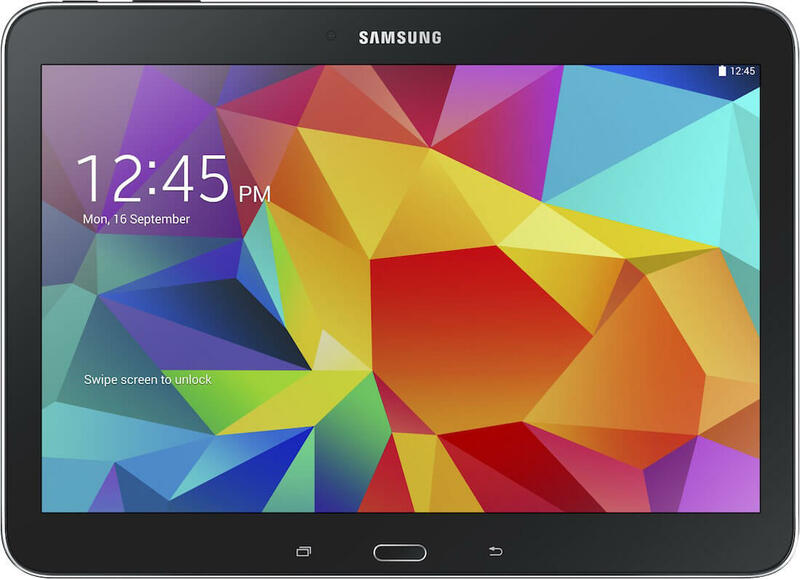 The 2014 gen devices are said to get the 7.0 update by the middle of next year, around May,2015. Still No official confirmation from HTC, yet. 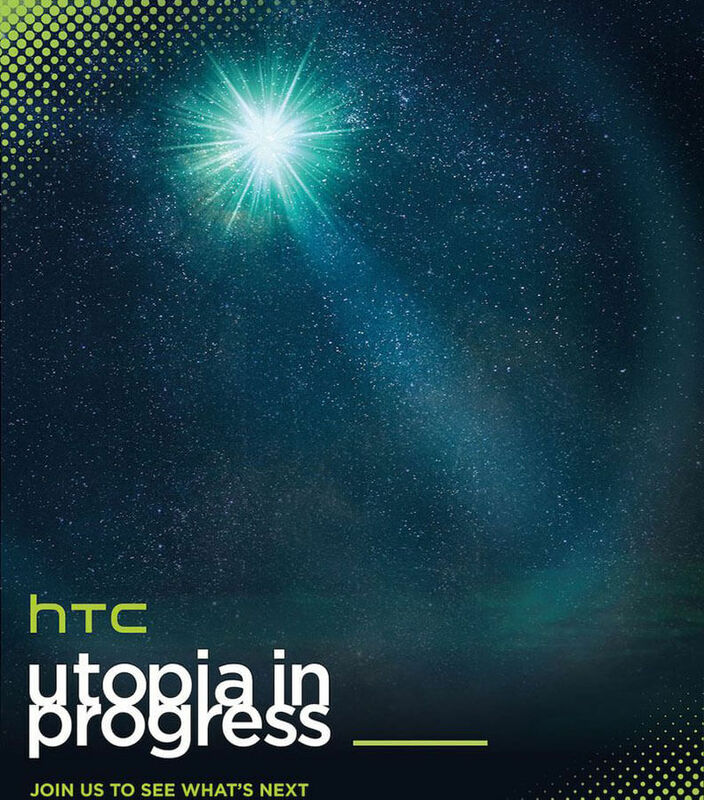 HTC MWC 2015 invitations are out "Utopia in progress"
Today, HTC sends out invitations to its upcoming MWC 2015 even next March. The invites are titled with a starry sky and the words "Utopia in progress". Well, it's not much to assume from, but it might indicates that the Taiwanese company is planning on releasing a ground-breaking flagship. The most anticipated device this year is the HTC One (M9), if that's what they decide to call it, will reportedly make the jump to a 5" QHD screen, a Snapdragon 810 chipset, a 20.7MP camera on the front with maybe an UltraPixel selfie camera and a burly 3,500mAh battery to power it all. According to a report from Bloomberg, HTC will announce its next flagship device, HTC One M9 along with its own Smartwatch next March at the MWC 2015 event. HTC Smartwatch will be the Taiwanese's company first wearable device, The watch is rumored to feature integration with Under Armour's fitness service. The two companies had announced their partnership earlier this month. 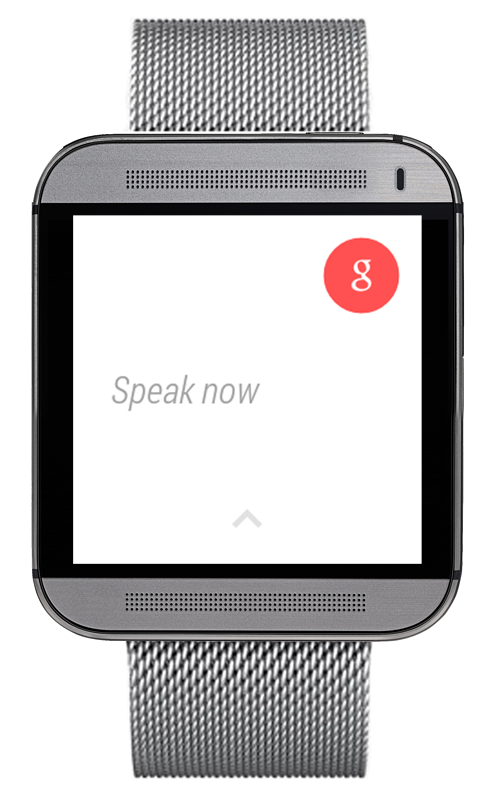 The watch will likely be running on Google's Android Wear platform. The HTC One M9 "codenamed Hima" is said to pack a 20 megapixel camera on the back and an UltraPixel camera on the front, octa-core Snapdragon 810, Dolby 5.1 Audio, and HTC Sense 7 UI. HTC announced the One M9 with Sense 7.0 UI on top of Android 5.0.2 Lollipop. 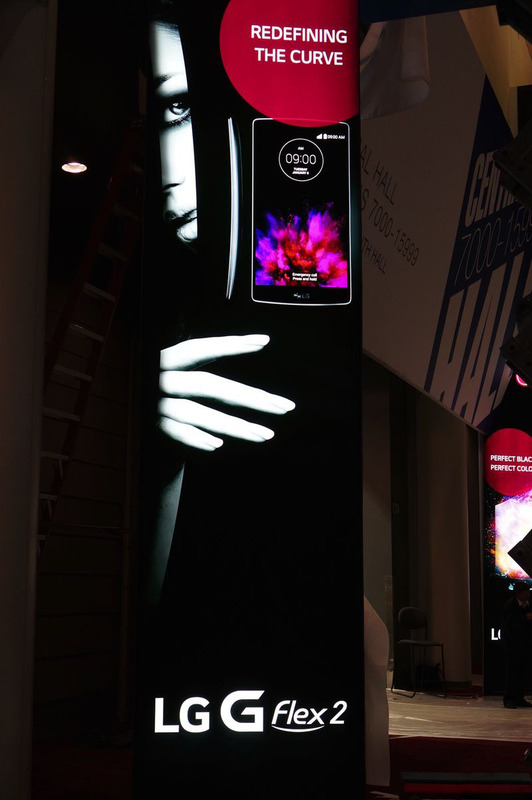 Well, the Taiwanese company didn't forget the last year's amazing flagship One M8 and confirmed during it's MWC 2015 event the Sense 7 UI update is coming to M8 users. The Update will pack all the software features that are currently on the HTC One M9 to the One M8. 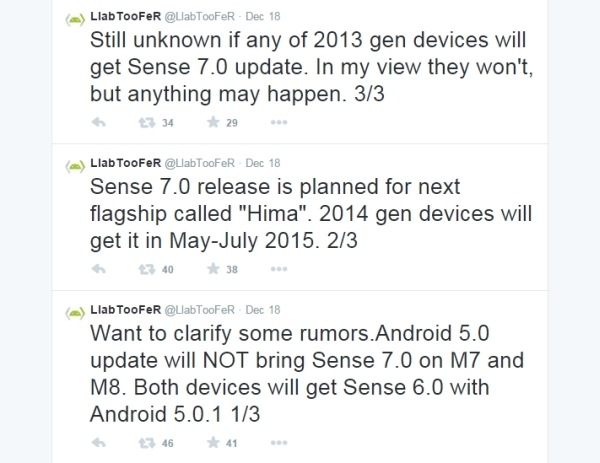 Users should expect Sense 7 to come with Lollipop 5.0.2 update, we don't have an exact date yet but according to our sources it will come during Q2,2015. We reported few days ago that HTC decided to cancel it's Smartwatch project because it won't be a very good competitor in the current market. 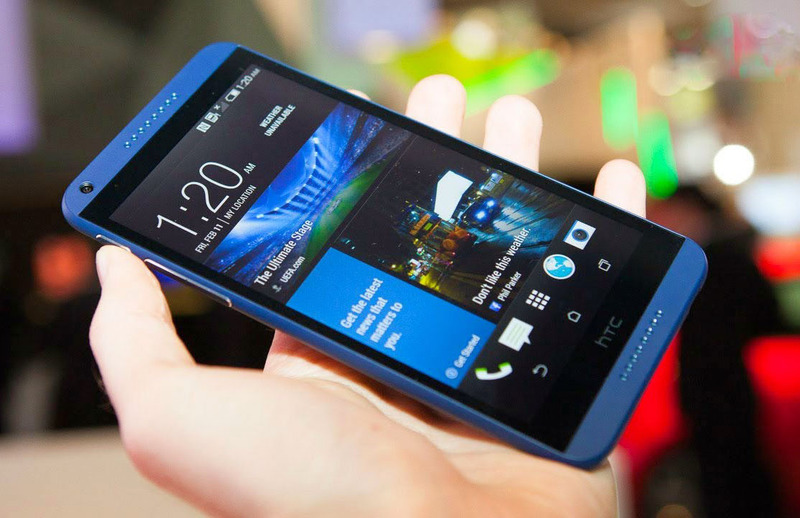 This was disappointment for some HTC fans after a long year of rumors about it. However, Looks like HTC will take its time on preparing its first Smartwatch to make an impact on the market, Latest reports from CNET suggests that HTC Upcoming Android Wear Smartwatch is set to launch on Early 2015, giving the company the time it needs to improve its watch. The rumored name of HTC's first Smartwatch is the "HTC One Watch"... kinda like Apple Watch naming. let's wait and see what this Taiwanese giant have in the works for us. 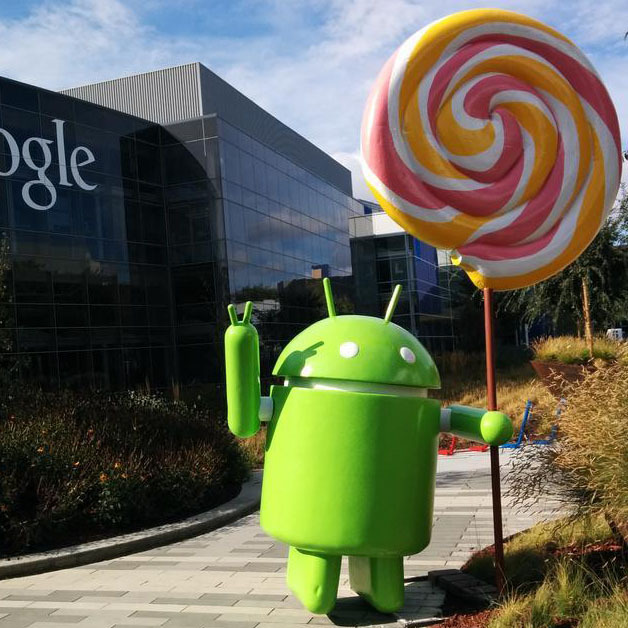 Back in November, HTC received Android 5.0 Lollipop's source code from Google. The Taiwanese company already promised and still confirming that it will deliver the update to the HTC One M8 and One M7 users in 90 days (from the day it received the source code). Well, we are almost there... the 90 days period will end Next month. 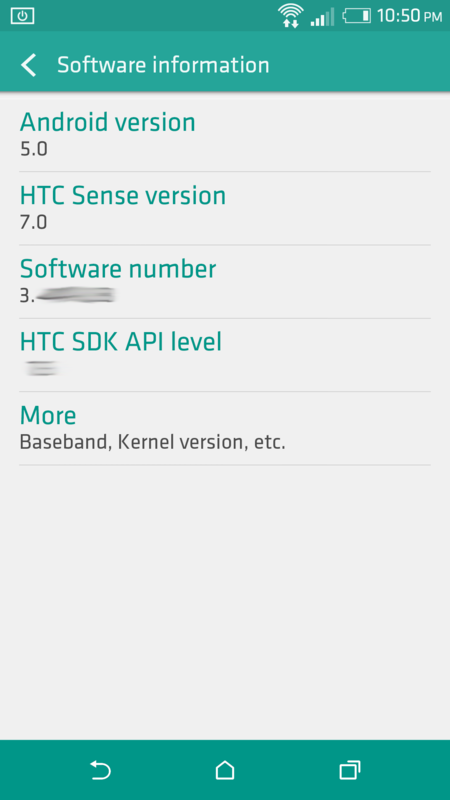 We already saw leaked screenshots of a complete build of the HTC Sense 6.5 with Android 5.0 Lollipop from a One M8 device, according to these screenshots, HTC seems to be doing a good progress in the development of the Sense 6.5 for the update. so, If you own an HTC One M8 or One M7 you should expect Lollipop OTA update to hit your phone sometime by the End of Next month (February,2015). 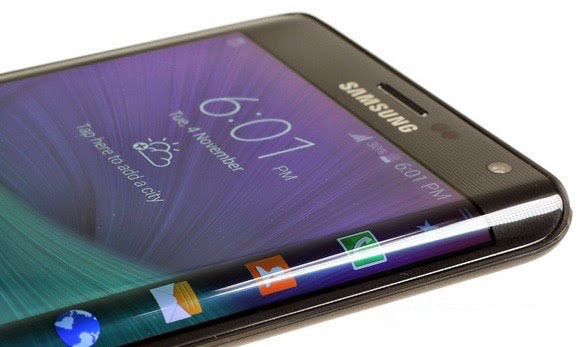 According to the latest reports, Samsung may release an "Edge" variant for its upcoming flagship device Galaxy S6. 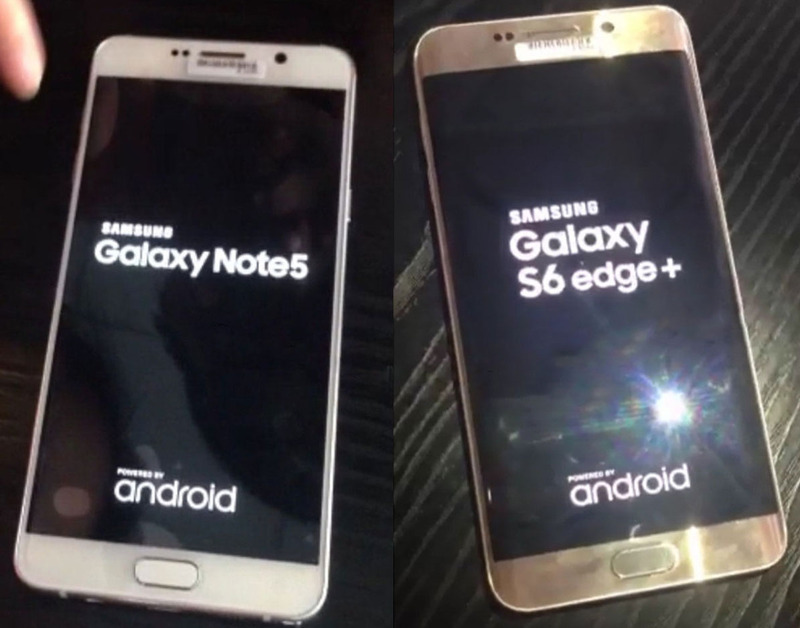 The Galaxy S6 Edge will pack a curved display like the current Galaxy Note Edge. 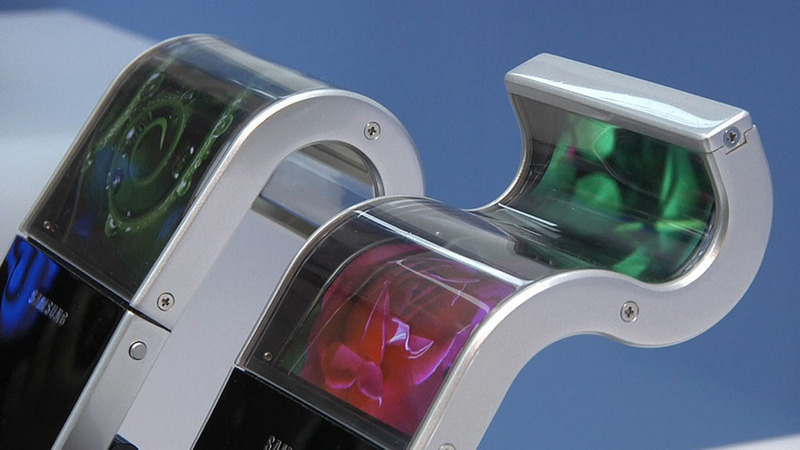 Instead of releasing a Prime variant which is like releasing the same device twice but with higher Specs, Samsung decided to change its strategy to provide a newer/better option with a new technology, Flexible Displays. 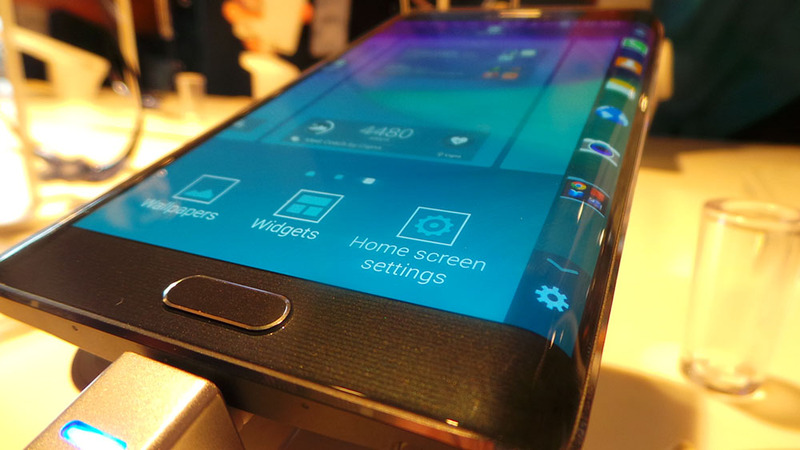 The Galaxy S6 Edge will pack the same Specs and Design as the original Galaxy S6 but with curved display on the side. Rumored Specs for the Galaxy S6 include QHD display, Exynos 7420/Snapdragon 810 chipset, and 16MP or 20MP camera. As the Korean Giant did with the Galaxy Note 4, Both S6 variants (Original, Edge) will be released at the same time, the expected release date is the first Half of 2015 (H1,2015). Design and technological innovation coupled with ease of use make handheld devices, mainly smartphones and tablets, attractive for consumers. This, in turn, inspires manufacturers to explore newer avenues that help pack devices with innovative design and features. However, oftentimes closing the gap between imagination and execution has not been easy. According to confirmed reports from Korean website Daum, Samsung will unveil a Flexible and Foldable Tablet by the End of 2015. 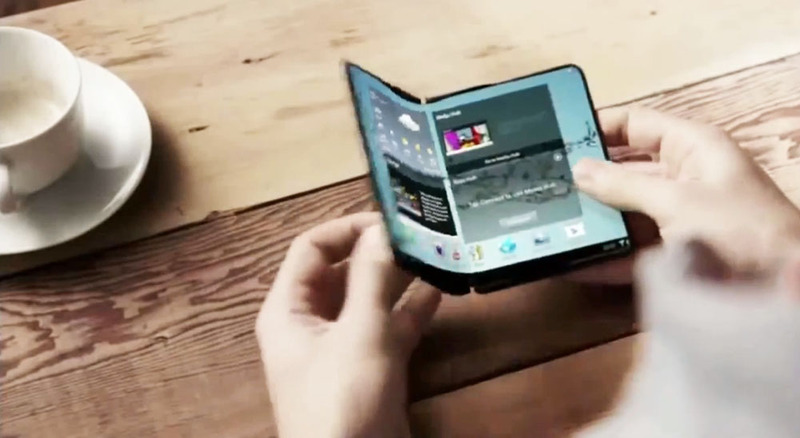 Although this report contradicts Samsung's revelation in an analyst conference in 2013 about foldable devices to be available by 2016-17, industry watchers now foresee the said devices to hit the market by 2015. A tool that every Samsung user has it installed on his computer, Samsung KIES, the Samsung's smartphone manager suite for PC and Mac, will get a major overhaul. According to confirmed reports, Samsung is planning on releasing KIES 4 with a completely new design to look similar to the company's TouchWiz look for its latest Android 5.0 Lollipop update. 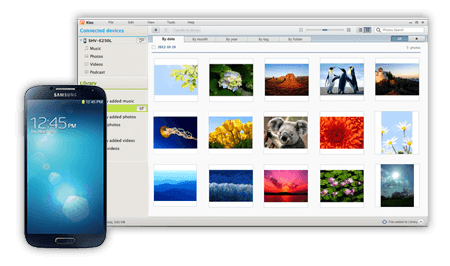 Samsung Kies 4 is expected to be available for download sometimes during Q1,2015 (January - February - March). Coincidentally, that's when the company also launches its flagship smartphones, so hopefully the Galaxy S6 will have a new computer buddy to play with. In terms of functionality, there's no information if Samsung will be adding features. Many users love Kies for its data backup skills and it's likely that the company plays it safe and just apply a refreshing coat of paint to the suite. The Samsung Galaxy S line has started off with the Samsung Galaxy S release in 2010, Here we are in 2015 and We have the first Curved Galaxy S Smartphone. Gathering all this in one Photo will give you a look at the Big picture of how Samsung came a long way with its technology on improving the line in the past 5 years. The Infographic above shows how the Samsung Galaxy S line started with the OG phone sporting a 4 inch, Super AMOLED screen and powered by a 1GHz processor. 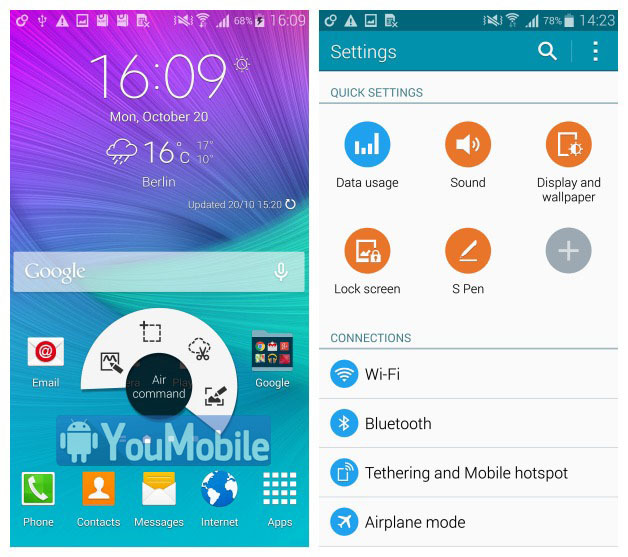 The Samsung Galaxy S6 features a 5.1 inch Quad HD Super AMOLED display, powered by a homegrown Exynos 7 Octa chipset. Along the way, the rear-facing camera has gone from 5 MP to 16 MP with OIS tech, while the RAM amount went from 1 GB to 3 GB. 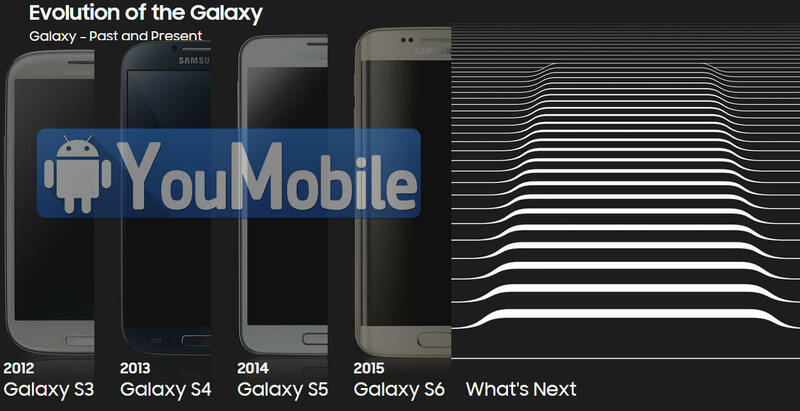 Samsung's Galaxy S line has started off with the Samsung Galaxy S release back in 2010... And Here we are in 2015, we have the first Curved Galaxy S Smartphone, Galaxy S6. 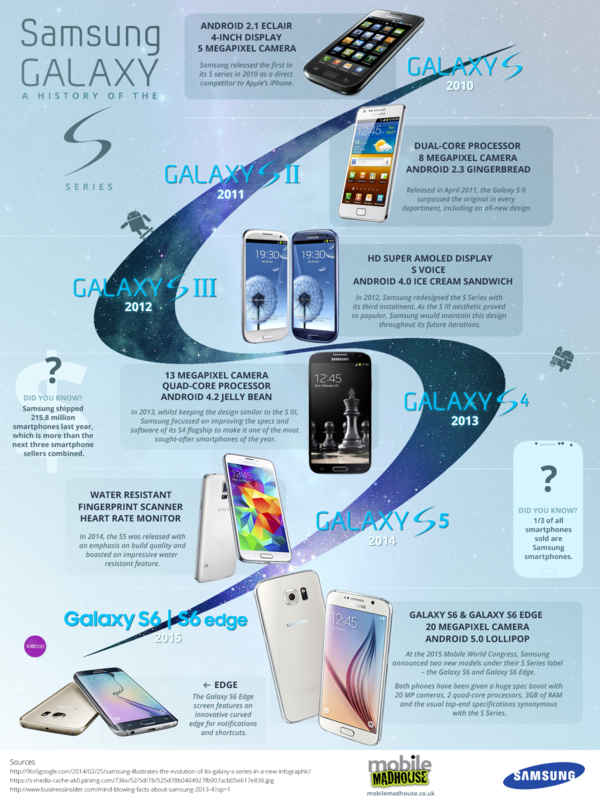 The Infographic above shows how the Samsung Galaxy S line started with the OG phone sporting a 4 inch, Super AMOLED screen and powered by a 1GHz processor. 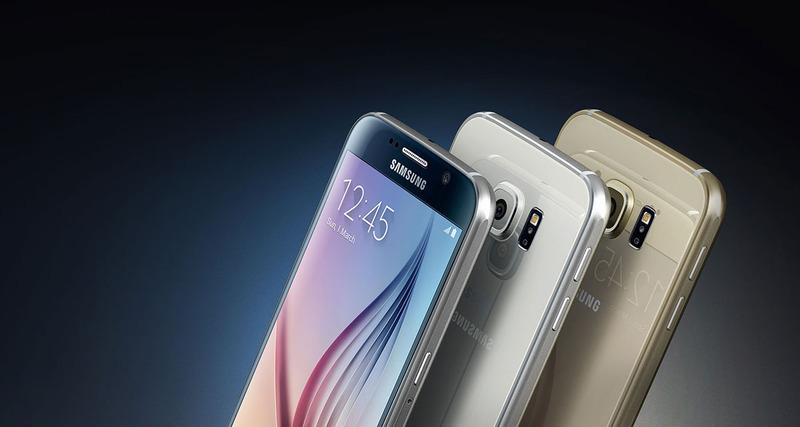 The Samsung Galaxy S6 features a 5.1 inch Quad-HD Super AMOLED display, powered by a homegrown Exynos 7 Octa chipset. Along the way, the rear-facing camera has gone from 5 MP to 16 MP with OIS tech, while the RAM amount went from 1 GB to 3 GB. 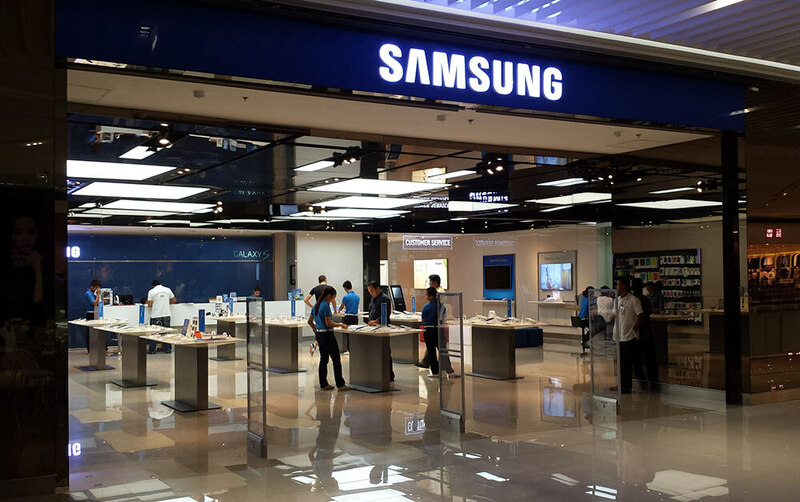 Samsung has lost the No.1 spot to Apple back in the fourth quarter of 2014 (Q4 2014). Now, Samsung is back in business taking the lead as the Top Smartphone Maker in the world for the first Quarter of 2015 (Q1 2015). 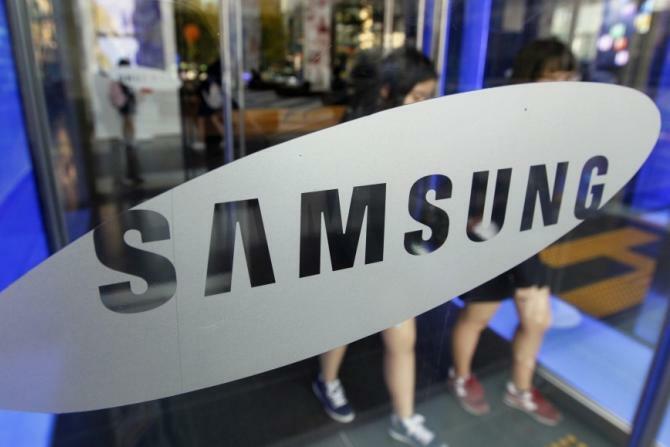 Samsung sold a total of 81.1 million smartphones in the quarter, compared to 60.1 million units sold by rival Apple. 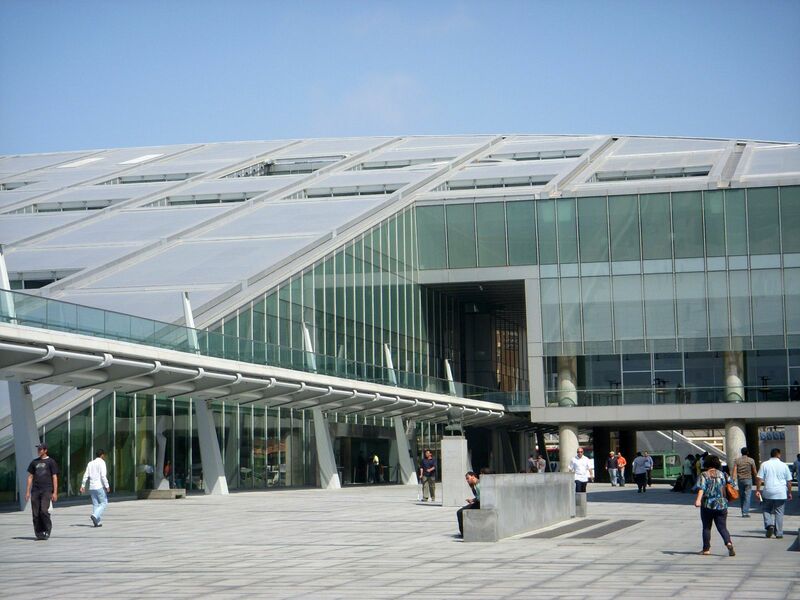 However, the South Korean company's market share dropped to 24.2% from 30.4% in the same quarter last year. On the other hand Apple, which overtook Xiaomi to become the leading smartphone vendor in China in Q1, saw its market share rising to 17.9% from 15.3% in Q1, 2014. Lenovo, Huawei, and LG rounded up the top five with 5.9, 4.8, and 4.0% market share, respectively. 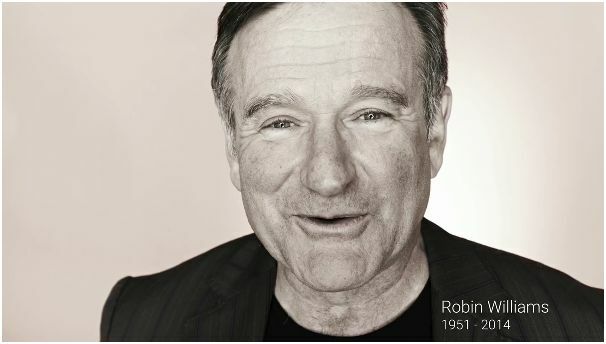 You can also watch the Year in Search video to get a more in-depth look at the stories one chapter at a time. Watch it below! 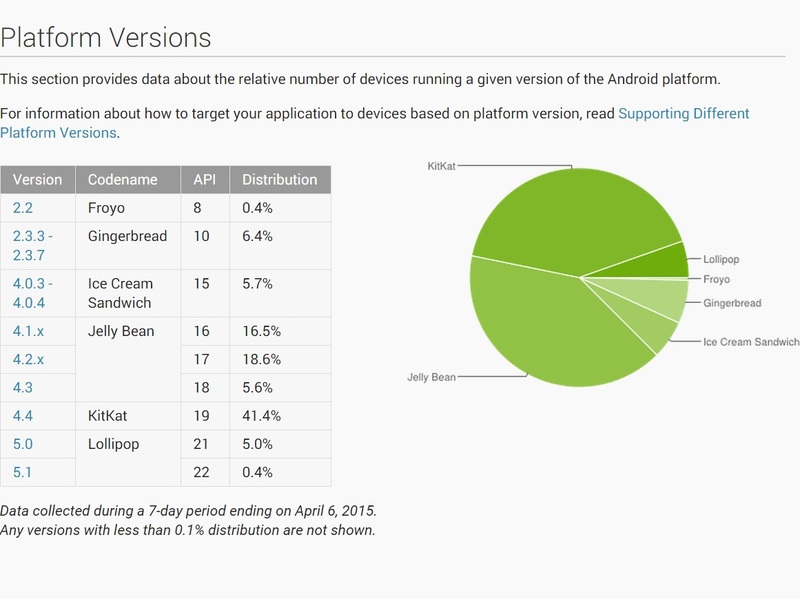 Google released the Android distribution report for April,2015. The latest report reveals Lollipop has 5.4% of the world's Android devices, five months after its source code was made available. There's some good growth for sure, seeing that Lollipop was up and running on just 3.3% of devices in March. The number should keep growing, as device manufacturers are shipping tons of Android 5.0 devices, and current high-end smartphones all come running Lollipop out of the box. Surprise! 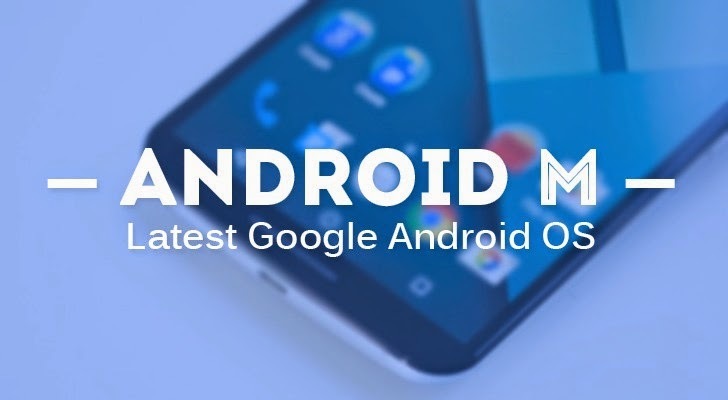 Yes.. Google will officially announce the Next version of its mobile operating system, Android "M" (version 6.0) during the Google I/O 2015 event which will be on May,28th. 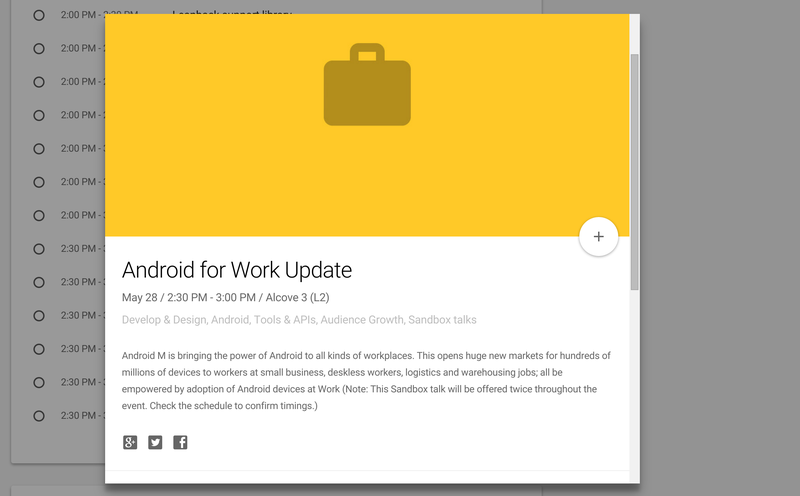 Google's session description that briefly appeared as part of the I/O schedule made specific mention of "Android M." (The session in question has now been removed from Google's I/O website). Even if Lollipop has so far made it to just 10 percent of all Android devices, Google isn't slowing down any in pushing the operating system forward to the next level. 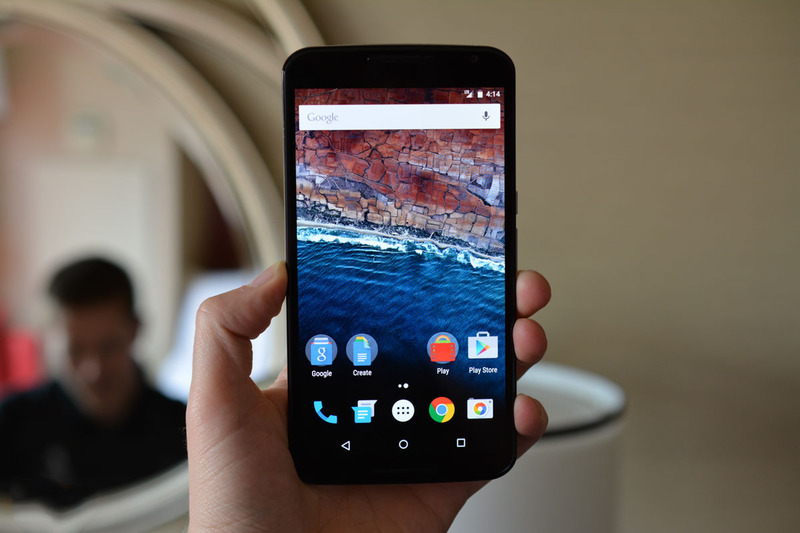 Android "M" will focus mainly on voice control integration and Notifications features. 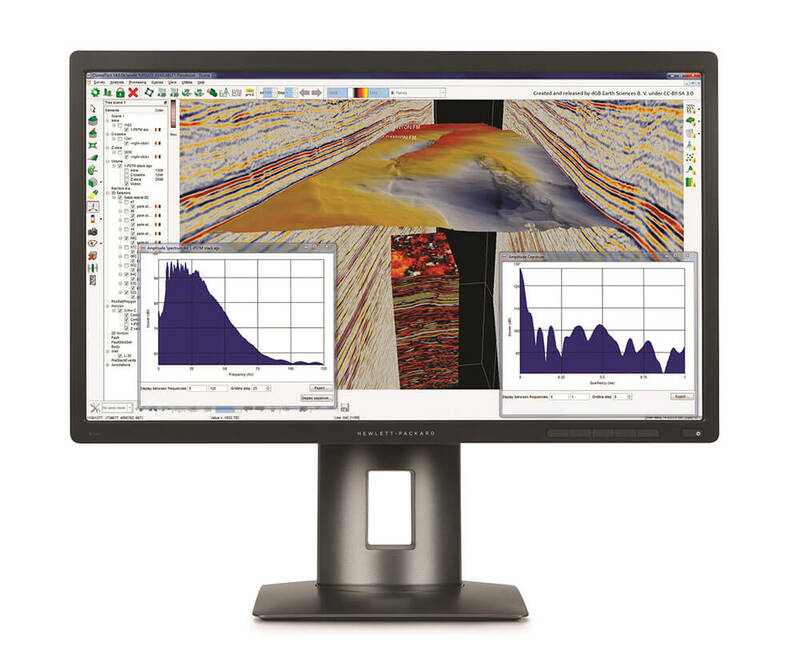 "Mobile hardware has adopted the touch screen as the primary mode of input. And with 1 billion active Android users, there's no sign of this slowing down. What if you could provide users with a new method of access to your apps with little to no development overhead? In this talk, we introduce Voice Access, a service that gives anyone access to their Android device through voice alone. We will focus on simple steps developers can follow to ensure that Voice Access provides an optimal experience within their apps." 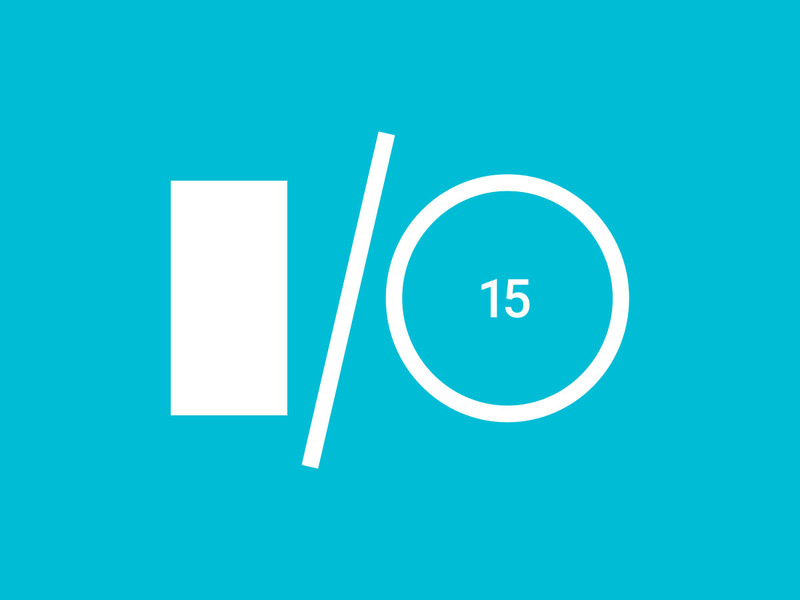 - Google, Voice Access session, I/O 2015. Android "M" is set to be annouced at the Google's I/O keynote led by Senior Vice President, Sundar Pichai, which will kick off on May,28th at 12:30PM to be exact. 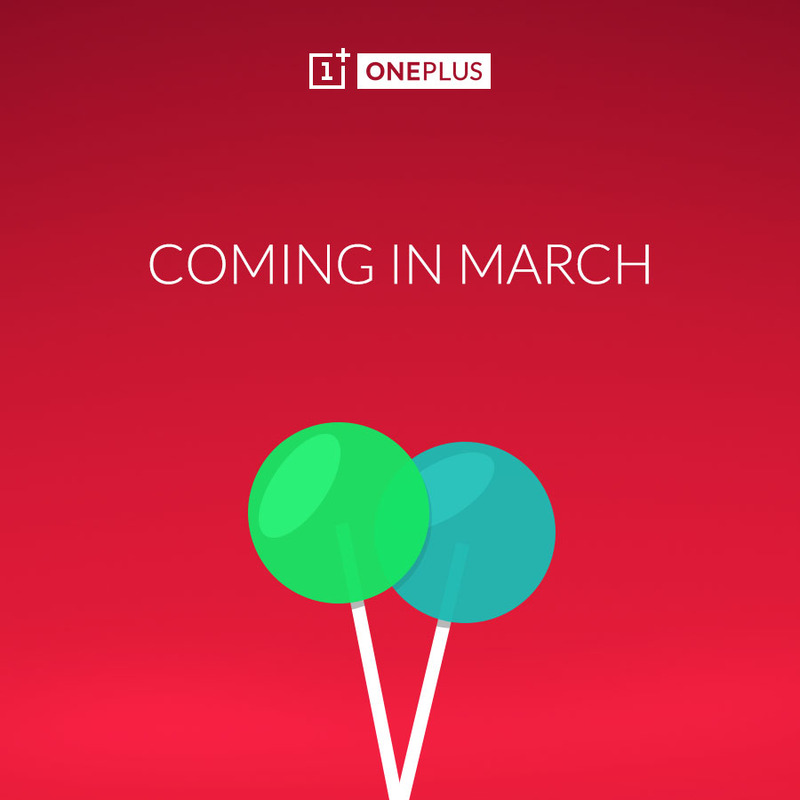 OnePlus One successor coming on Q3, 2015 to be named "OnePlus Two"
The successor of OnePlus One has been confirmed to launch by Q3,2015 according to the manufacturer's global director Carl Pei. The next generation handset will be named "OnePlus Two" when launched on the market. The latest word on the device's launch falls right in line with a past report. However, we wish that the timeline wasn't as broad as the one that is mentioned (Q3 ends in September). India will reportedly be one of the first markets to receive the upcoming smartphone from the young Chinese manufacturer. Curiously, its predecessor actually became available through Amazon in the vast market today. There is no word on the hardware specs of OnePlus Two just yet. Rumor has it that the smartphone will be smaller than the OnePlus One and slightly more expensive. Smart TVs is the new TV, they are available in HD, UHD and 4K resolutions with endless features on them. Samsung is controlling the Smart TV market with the highest units sales in 2013-2014. Well, 2015 is coming and the speculations about what's New in the upcoming next generation Smart TVs is going around the web. Samsung is said to focus more on fitness applications and Mobile Integration on its 2015 Smart TVs line-up. Fitness Apps are getting high-demand from users on mobile platforms and wearable devices, using these feature will you to take a Yoga class remotely from home but on a bigger screen and more space to move with a wide-angle camera. These new Smart TVs is expected to be announced on the CES 2015 next year, we don't have any info about the design or the price of these new TV sets but expect a High-one.